Kathryn Pollack, a keenly attuned and accountable senior leader who believes in bringing your whole self to each moment and everything you are to all that you do. 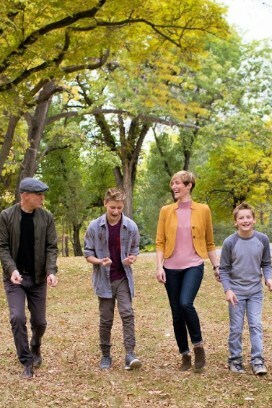 An Assistant Deputy Minister for the Government of Saskatchewan, Kathryn leads five branches for the Ministry of Energy and Resources. 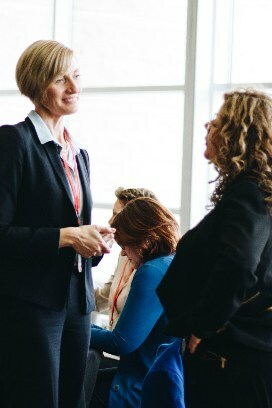 She thrives to create strong, dynamic teams where meaningful conversation and connection weave the fabric of full engagement and ultimate performance. A highly challenging task combined with a high level of skill is more likely to result in a state of flow. That being said, to be in flow, we need to believe that what we are trying to achieve is doable, or else we risk moving into a state of anxiety. "I was thrilled to be Gina Grandy’s, Dean, Hill and Levene Schools of Business, University of Regina, inaugural (or in my words, guinea pig) HerStory leader in February, 2019. Gina is providing a venue for female leaders to share their personal leadership stories with others in the community in an intimate setting. While it’s not easy, I leaned into some discomfort and shared some unique aspects of my story. By sharing our stories, listening to others and allowing ourselves to be vulnerable, we can find great potential for personal growth. Thank you for the opportunity Gina." I have mistakenly viewed myself as a perfectionist. I realize now that I wasn’t striving for perfection; I was striving for excellence. Perfection is not achievable. Excellence is accessible when we dig in and get gritty. Angela Lee Duckworth popularized the concept of Grit in her book, Grit: The Power of Passion and Perseverance but the construct dates back to the 19th century. In fact, as far back as Aristotle, tenacity and perseverance were viewed as virtues. Grit gives us the ability to stick to long-term goals and keep going despite adversity. To me: Grit is tenacity, resilience and a thick skin. Kathryn is a high-integrity, energetic leader known for building trust-rich relationships and leveraging those relationships to accelerate business dealings. 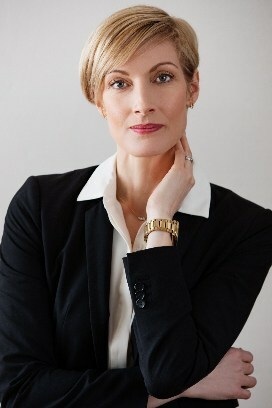 Kathryn's unique expression of leadership was born within a career of professional dance where flow, fluidity, and flexibility are balanced with grit, tenacity, and a 'thick skin'. These qualities and attributes have provided a solid foundation and successful transition for Kathryn into leadership positions in the corporate world. Kathryn is passionate about developing people, teams and relationships, utilizing the principles of harmony, synchronization, and trust to coalesce around a common vision or direction. Born and raised in Regina, Kathryn followed her heart and her dreams to Toronto, Montreal, back to Toronto, then Calgary, finally returning home to Regina for the crescendo of her career. 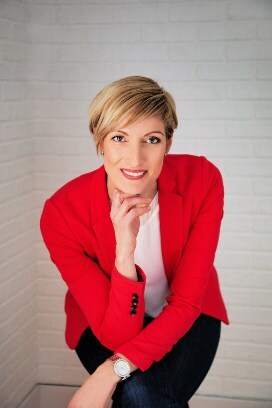 With her extensive business experience spanning small-to-medium businesses, large corporations, crown corporations and non-profits, Kathryn has leveraged her innate ability to build relationships and trust quickly with others in her work in land acquisition and public consultation, as well as in leadership roles leading and building teams. Bringing all that you are to all that you do. The courage and tenacity to consistently persevere to deliver the results you know are possible. Creating an environment where people come to the table with their 'trust jars' full. People first. At the core of getting business done lies our ability to powerfully build connection within our spheres of influence. In 2019, Kathryn is looking forward to building meaningful relationships with other leaders in the public, private and non-profit sector that can be leveraged into partnerships on key initiatives to deliver meaningful action and results. Kathryn is a rare gem - not only is she an incredibly competent, creative, versatile and results driven leader, she is grounded and has an amazing ability to provide perspective in trying times. Kathryn is one of those people who lifts and inspires others. I feel privileged to know her, and I jump at any opportunity that comes my way to work with her. 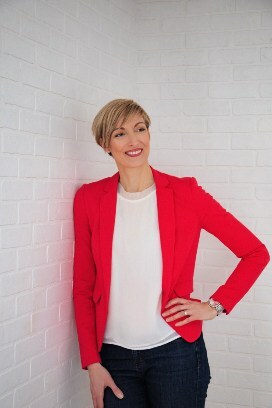 Kathryn is an inspiring person, she has a potent mix of great communication skills, strategic thinking with a down to earth 'get it done' attitude. She is also a very genuine person who believes in building long term relationships, and can be trusted to deliver. This has been reflected her leadership, with everyone in her team being inspired to give their best, feeling valued and continually motivated by her creative approaches.